Are you looking for a cost-effective way to increase your income and grow your business? White Label SEO is the way to go. Are you losing business to the competition because you don’t offer SEO? Do you like the idea of providing your clients with full-service SEO, but don’t want the expense of hiring an in house team? You can drastically increase your income without having to pay out large overheads. Digital Presence offers White Label SEO Services for savvy business owners who recognize the importance and necessity of being able to offer SEO to their clients, but who don’t have a staff or budget that’s equipped for it. The fastest way to generate more income is to offer a wider range of services to your clients. The easiest way to do that is to outsource the work to us when you need to, so you don’t have to worry about extra staff payroll to keep up with. SEO is fast becoming a non-negotiable necessity for clients of digital service providers. It can be the difference between getting hired, or a contract going to your competition because they offer SEO and you don’t. Now you can add SEO to your customer offerings, without having to invest a cent in it before you get your first contract. White Label SEO: A service that adds to your bottom line, without any extra workload. Offering SEO services under your own brand, while outsourcing the work to us, is a straightforward solution to staying competitive, without having to invest large sums in in-house experienced SEO staff. Stay ahead of the competition with highly effective SEO, without the high costs of talented full-time staff members. Digital Presence provides you with access to a brilliant team of SEO experts with over twenty years of experience in digital marketing and technology. We provide full-service SEO that delivers outstanding results every time. So you can impress your clients with high-level deliveries on their contracts, without having to do any of the work yourself! Compete with larger companies who have the budget for an in-house SEO team and make sure your clients stay loyal because you’re capable to servicing their needs. Offer a high-end SEO service without having to learn a thing! We’ll do all the work for you. Make your potential for ROI limitless – Our White Label SEO services can be marked up two, three or more times over, increasing your bottom line without any extra work. Attract more clients – Being a full-service company improves your chances of landing contracts with bigger clients. Improve your client relationships – Letting us take care of your SEO gives you more time to focus on your clients. Highly effective brand building – Offering more services to your client keeps you top of mind when they need help with their marketing. Bigger bottom line – Providing White Label SEO allows you to up-sell our services to your established clients, quickly and easily generating more revenue for your business. 100% Confidentiality – All of the White Label SEO services we provide are represented under your brand at all times, so that you get to enjoy the credit for your clients’ success. Leverage the work of leading SEO providers to build your company’s credibility. Digital Presence is a leading provider of White Label SEO services. Our in-house SEO experts have years of hands-on experience creating custom SEO strategies for our many White Label and regular clients. We’re excited to produce more outstanding results for your clients too. 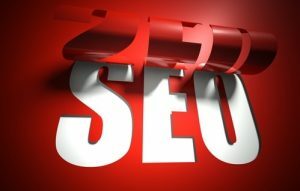 We use cutting edge SEO techniques informed by the most up to date strategies. Our experienced team combines tried and tested methods with the latest trends to implement SEO strategy that succeeds every time. We provide clear results, presented in reports with your company logo. We do the work. You impress your clients. To discover more about our White Label SEO services and how you can use them to start increasing the bottom line for your business, call or email us today.